We all know that whole grains are better than refined grains. The process of refining removes the fiber and most of the vitamins and minerals and some are further processed with bleaching, mixing, and brominating. Choosing brown rice over white rice, whole wheat flour over white flour, and whole wheat bread over white bread are healthier options to eating grains (note that "enriched" grains with added vitamins and minerals can never be the same as naturally occurring vitamins and minerals found in natural whole grains), but they are still hard on our digestive systems. We don't digest grain completely and undigested particles of grain get stuck in the microvilli of our intestinal walls. It builds up over time and leads to the inability to digest grains properly, resulting in gluten intolerance, celiac disease, and leaky gut syndrome. Choosing whole grains is the first step towards a healthy diet. Preparing whole grains correctly will make sure we get the most nutrients out of them. There are three reasons why we need to soak grains. First, they will cook faster. Second, it reduces the anti-nutrient components in the grains. And third, it makes the grains more digestible. Generally, you can reduce the anti-nutrient content in grains and legumes called phytic acid by soaking, sprouting, or fermenting in a warm place for a long period of time (the longer the better) in an acidic medium, and adding high phytase grain (e.g. barley or rye) to low phytase grain (e.g. oat or brown rice). Grains and legumes contain phytic acid in varying degrees. This anti-nutrient inhibits the absorption of minerals in our body. Soaking will reduce the level of phytic acid in the grains (with the help of enzyme phytase), making the grains more digestible and greatly increase their nutrient values. 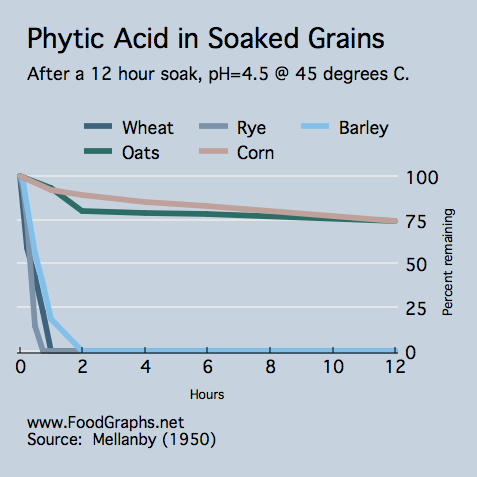 However, not all grains contain enough phytase to eliminate phytic acid even when soaked. Soaking grains or legumes that are high in phytic acid is simply not effective, such as soy. 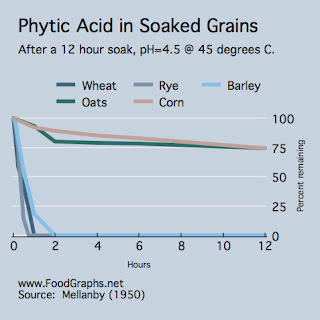 You see in the chart below that the phytic acid in wheat, rye, and barley decrease rapidly with soaking, but not oats or corn. Nuts are an extremely nutrient-dense food, supplying high levels of minerals, as well as B vitamins, some protein, and lots of fat (most of it monounsaturated). Walnuts are a good souce of omega-3 fatty acids but need to be stored in an airtight container in the refrigerator as the omega-3 content of walnuts makes them susceptible to rancidity, while pecans, almonds, macadamias, peanuts, and cashews can be stored in an airtight container at room temperature. Skinless almonds are recommended as the skins can be irritating to the digestive tract, even when soaked. Nuts contain enzyme inhibitors and it is best to soak them for 6-8 hours, drain, and sun-dry or dehydrate them in a warm oven or dehydrator until completely dry and crisp. 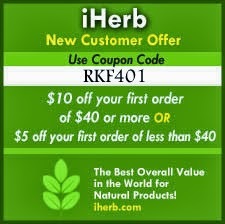 They make great snacks but not something that you want to consume a lot if you are trying to lose weight. White rice is low in phytates because their bran and germ have been removed (and of course stripped of vitamins and minerals). Brown rice, on the other hand, is higher in phytates (although low compared to many other grains). Soaking brown rice will not effectively eliminate phytates because brown rice lacks the enzyme phytase. 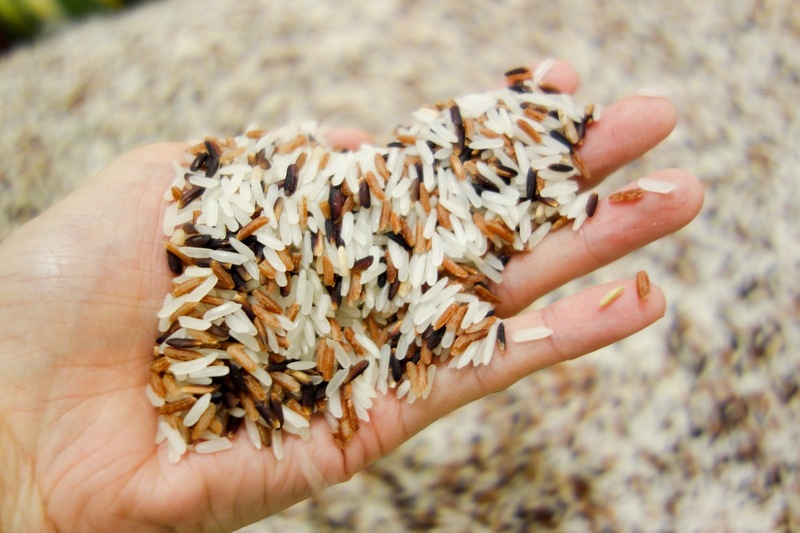 If you rely heavily on rice for zinc, iron, calcium, or magnesium (minerals bound by phytic acid), then eating brown rice (without properly preparing them) will lead to mineral deficiencies. 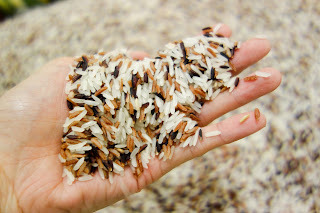 However, if you don't eat much rice or have other sources to get these minerals from, then you do not need to worry as much about soaking brown rice. Ideally, I would soak brown rice at room temperature for 12 hours with a little bit of apple cider vinegar and barley (high phytase grain) to my brown rice, but I don't usually do this because I plan what to cook at the last minute (something I need to work on). It's okay for the most part because the phytates content is relatively low compared to other grains like oatmeal. If you can plan ahead of time, it's best to soak your brown rice. For a few months now, I have been soaking steel cut oats at room temperature for 36-48 hours with a little bit of apple cider vinegar and rye flakes . It cooks up faster and we enjoy our oatmeal breakfast everyday. Have you ever tried soaking your grains before? If you have, did you find it easier with your digestive system?